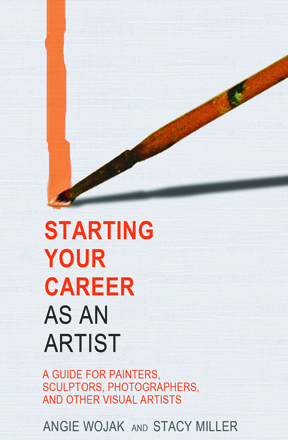 Stacy Miller, a faculty member in the Photography program at Parsons, and Angie Wojak, the former director of Career Services at Parsons, have published Starting Your Career as an Artist, which provides professional advice to those seeking careers in the art world. “The impetus for the book came from years of working with Parsons students and realizing they needed professional advice from the field before they entered it,” said Wojak. Over 35 artists, designers, arts professionals, educators and arts administrators were interviewed to provide readers with a comprehensive working knowledge of the professional field. The book was written to address a wide range of arts graduates as they enter into the field and many career possibilities. Both Wojak and Miller feel strongly that there are many routes to success, and the book is a guide into all the creative ways to build a life in the arts. In addition to tapping such art world luminaries as artist Chuck Close and critic Jerry Saltz, the book features interviews from some of the artists, designers, faculty and administrators working at Parsons, including: Simone Douglas, director, MFA Fine Arts program; James Ramer, director, MFA Photography; Radhika Subramaniam, director/chief curator, Sheila C. Johnson Design Center; Carol Overby, assistant professor, Design and Management; and Don Porcaro, associate professor, Fine Arts. For more information, visit the Allworth Press website.